There are numerous steakhouses in Abu Dhabi. These restaurants offer different eating experiences ranging from fine dining to casual and fast casual to barbecues. 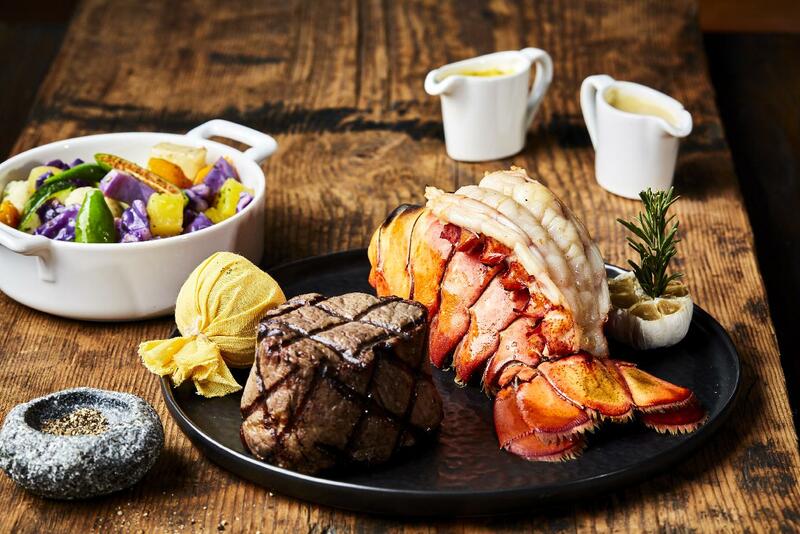 But finding a top-notch restaurant that serves the best steak in Abu Dhabi is only the start of enjoying a truly satisfying and superb steak dinner. You have to know what and how to order so that you won’t be disappointed with your meal. The beef served in restaurants is graded by expert USDA inspectors. They are graded based on the amount of fat specs or marbling and age of cattle before the meat was harvested. The finest steakhouses will only serve the top three grades. The best grade is Prime followed by Choice and Select. If you want to have the most tender, flavorful, and juiciest steak, make sure the restaurant you will go to serves Prime beef. The ribeye can be served with or without the bone. If it is roasted, it is called prime rib. If it is sliced into steaks and grilled or roasted, it is then called a ribeye chop. Also known as “tenderloin filet,” it is the most tender of steaks even if it has little fat marbling. It also has the mildest flavor compared to other cuts. It is considered the healthiest steak option since it is lean and less fatty. And because of this, it is not as juicy as the other cuts and it becomes dry if cooked beyond medium. The New York strip has less fat than a rib eye but still as tender. It has a distinct beefy flavor that many describe as buttery and moist. Some restaurants serve bone-in versions of New York strips. The T-bone steak is made of two cuts: the filet mignon and New York strip. These two cuts are divided in the middle by a bone in the shape of the letter T, hence, its name. If you want to sample two cuts of steaks in just one meal, order a T-bone steak. The porterhouse is the biggest cut of steak and is a larger version of the T-bone. This steak is cut from the upper part of the loin section and has a larger piece of tenderloin filet. A porterhouse steak is best for sharing. 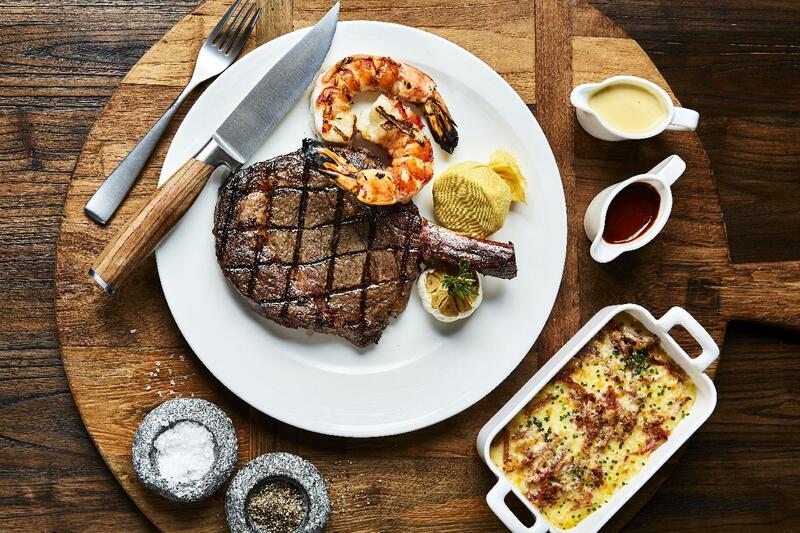 A 48-ounce steak can easily satisfy two diners. A rare cooked steak is cooked and seared outside while still keeping a red, soft, and cool center. This is the recommended level of doneness for steaks. A medium rare steak has a rare center but has a thick, firm brown crust. If you don’t want your steak to be too red in the middle, order it medium. A medium-cooked steak will have a thick band of light pink through the middle but it is more brown than pink. The top and the bottom will be charred darkly as well. A medium well steak has a light shade of pink at the center and is covered with a charred, dark brown crust. This is perfect for people who don’t want any color in their steak but also don’t want the meat to be fully cooked. For those who prefer brown and fully cooked meat, order your steak well-done. The steak is served without the slightest hint of pink. A superb well done steak is browned on all sides but its inside is not burned. The right beverage will also allow you to enjoy your steak dinner more. Order a glass of the restaurant’s best red – it is the classic steak and wine pairing. Ultimately, to truly enjoy a steak dinner in Abu Dhabi, order what you want and tell the server how you want your meat cooked. The best steakhouses will take note of their customers’ preferences to ensure they have an excellent dining experience.